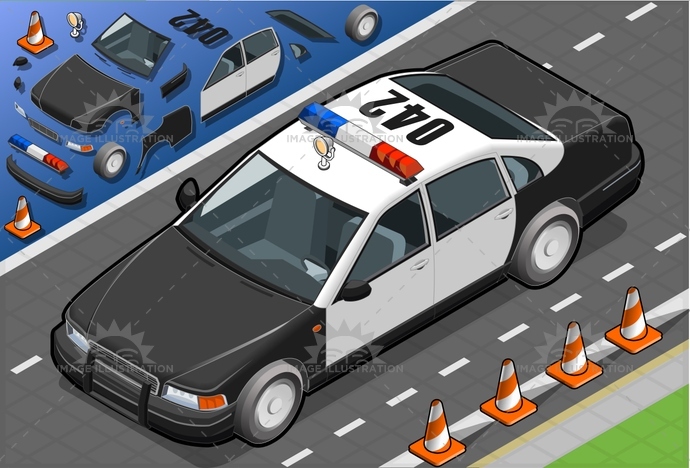 Stock product - detailed vector illustration - Isometric Vehicle Collection - Police 06 - created by Aurielaki. Image formats EPS AI JPG. SKU: Police-06-Vehicle-Isometric-AurielAki. Category: Police Security Vehicles. Tags: Alertness, assistance, car, control, governementvehicle, Headlight, industry, isolated, isometric, landvehicle, law, LawEnforcementAndCrime, modeofTransport, order, police, policeCar, security, securitysystem, siren, Sound, speed, Surveillance, urgency, VehicleInterior.